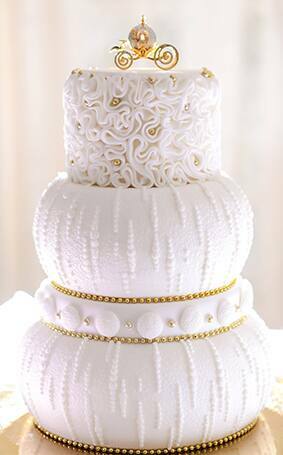 I'm a huge fan of classic white wedding cakes, but sometimes they yearn for a touch of Disney magic. 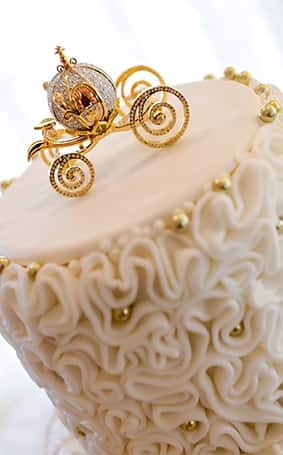 Topping your cake with Cinderella's golden carriage will do just the trick to create a perfect happily ever after masterpiece with a subtle nod to Disney. Ready to start dreaming? Grab a slice of even more Disney inspired decor over on our Dream Boards.